If you don't spend your day surfing 4chan, Tumblr or Reddit, there's a good chance the Advice Animal meme has passed you by completely. Don't beat yourself up -- these are anonymous single panel gags created by and for Internet communites. They don't have any explanation, because you are supposed to already be in on the joke. Anyone with even the most basic photo editing software can make an Advice Animal. For the most part, they are just head shots of animals or people emoting a specific feeling or epitomizing a familiar situation, often in front of a colorful background. 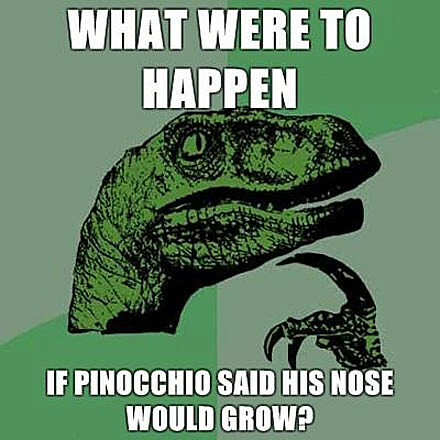 It is then up to the creator to write something hilarious. 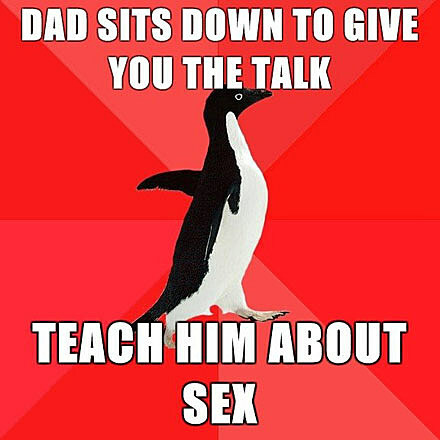 Most Advice Animals are made with Meme Generator, which takes about 5 seconds. 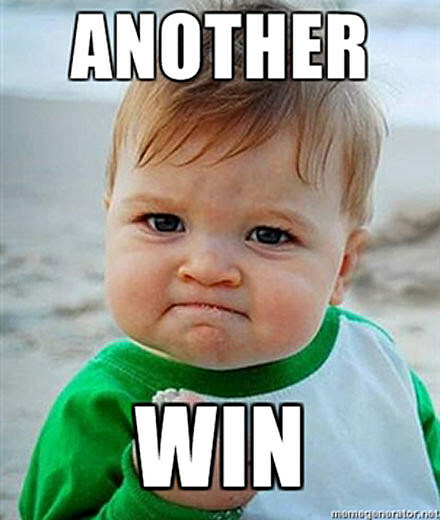 As a result, new advice animals can become widely popular in a short span of time. Go on a short vacation, and suddenly everyone will be making an advice animal you might not understand. Similarly, Advice Animals that don't resonate with creators quickly disappear, never to be heard from again. 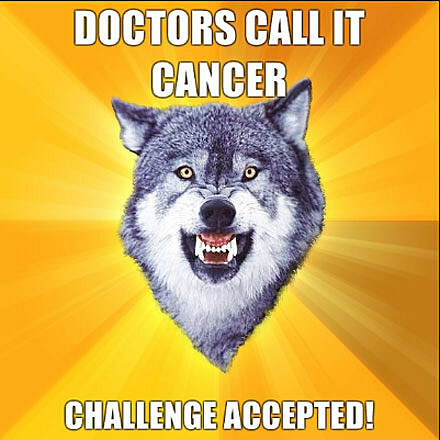 Courage Wolf wages war on fear. 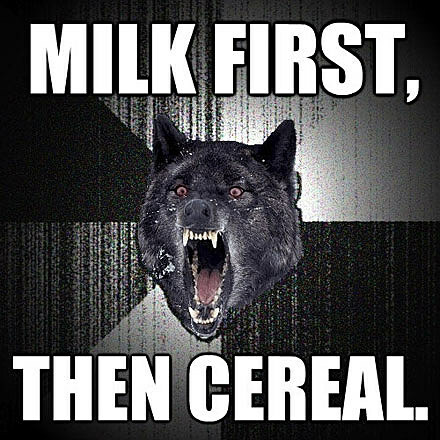 Insanity Wolf furiously refuses to do things the logical way. Often he finishes simple, everyday tasks with violence. 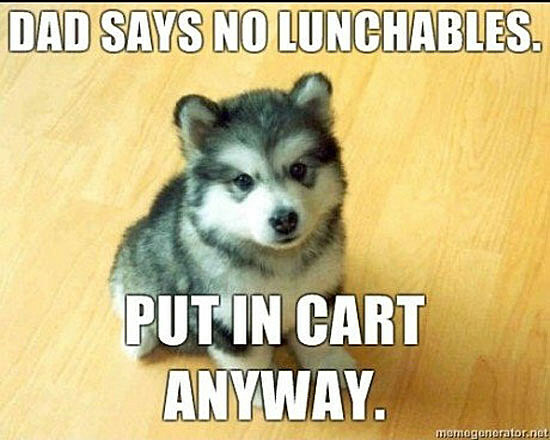 Courage Pup adorably sticks it to adults. Victory Baby is the spirit of a champion. 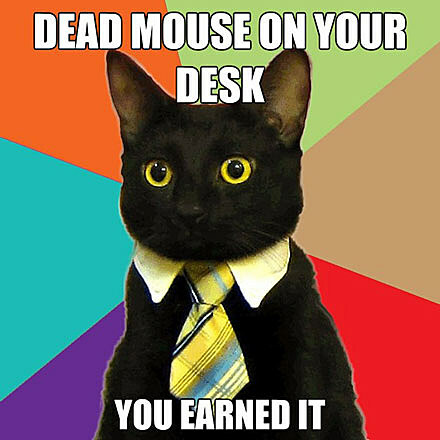 Business Cat reinterprets business cliches as cat behavior. Annoying Facebook Girl is your friend that has uploaded and tagged herself in 1,000 photos all of which were taken inside a bar. 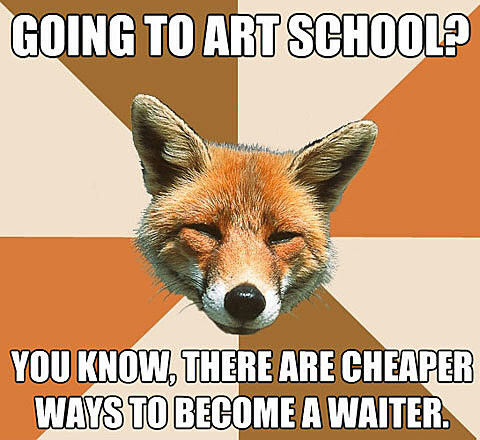 Condescending Fox thinks that any accomplishment you achieve is just precious. 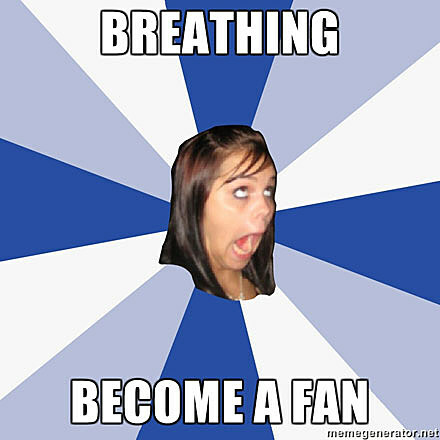 Foul Bachelor Frog is your typical filthy mouth-breathing basement dweller. 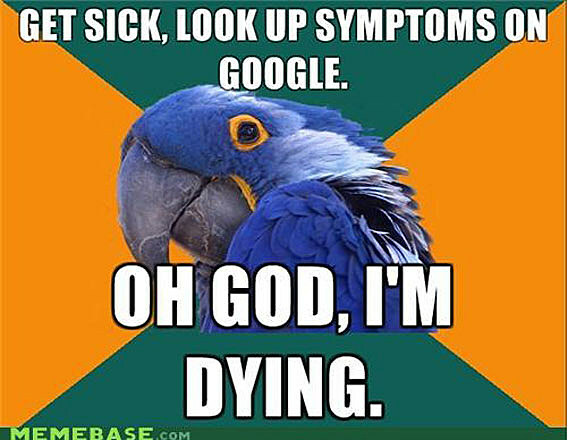 Paranoid Parrot is always freaking out about something. 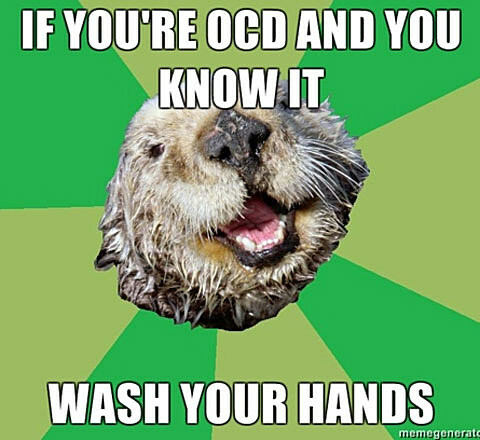 OCD Otter would love to play after he finishes checking to make sure his door is locked. 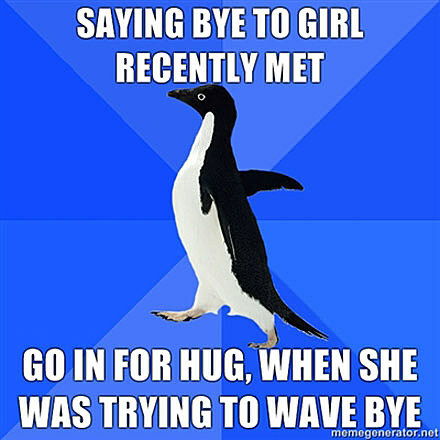 Socially Awkward Penguin hasn't quite figured out how to act normal. 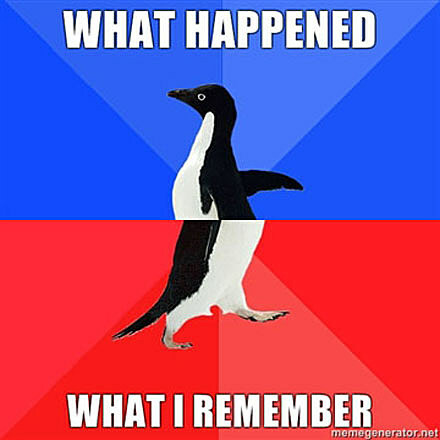 Socially Awesome Penguin is the man. 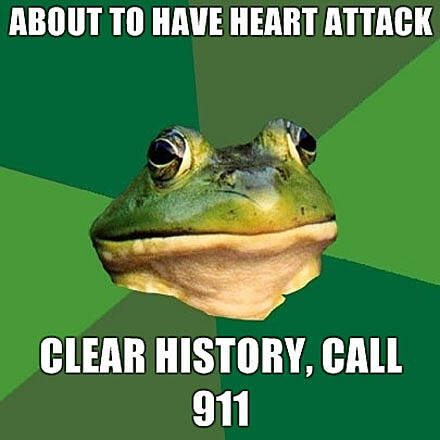 Mix-n-Match combines two of your favorite Advice Animals in order to describe a more nuanced situation. 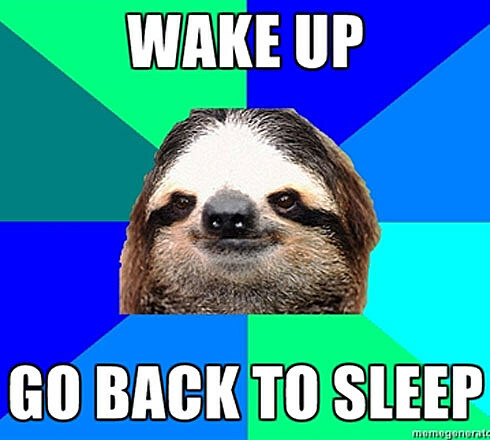 Socially Lazy Sloth puts the minimal effort into his relationships with others. 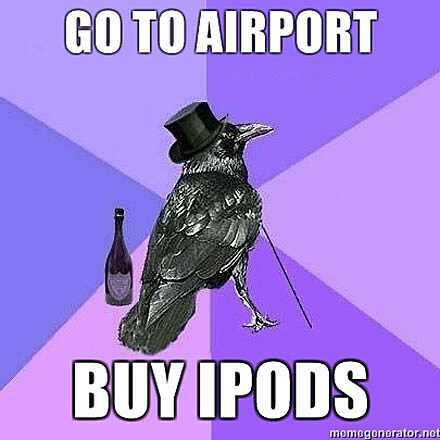 Rich Raven loves to burn through cash on unnecessary things. 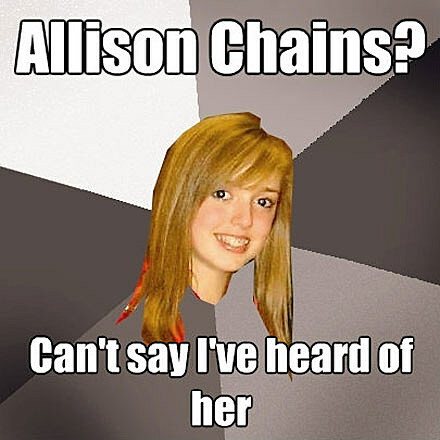 Musically Oblivious 8th Grader is trying to be cool, but only started listening to music this past year. 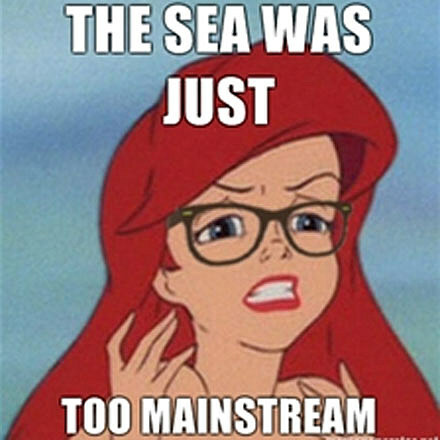 Hipster Mermaid is not too cool for ocean related puns. 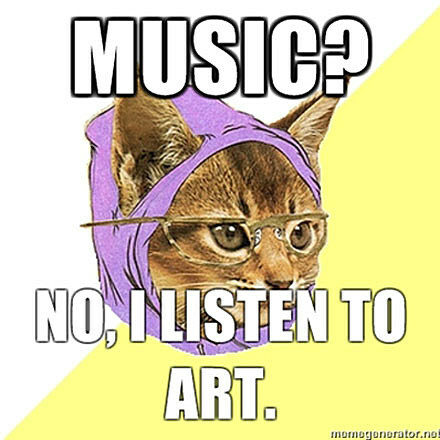 Hipster Kitty is cooler than you. Always. 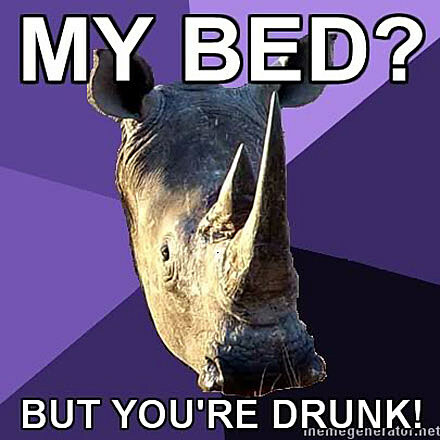 Sexually Oblivious Rhino has no idea when he is being hit on. Or why. 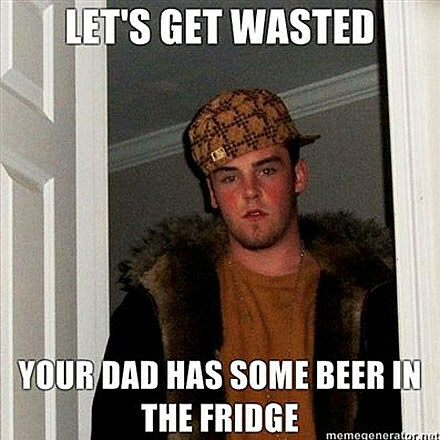 Scumbag Steve is that guy you knew in high school that drove an old Corolla, was smoking weed way before anyone else, stole from the fast food restaurant he worked at and never, ever chipped in money at the party. 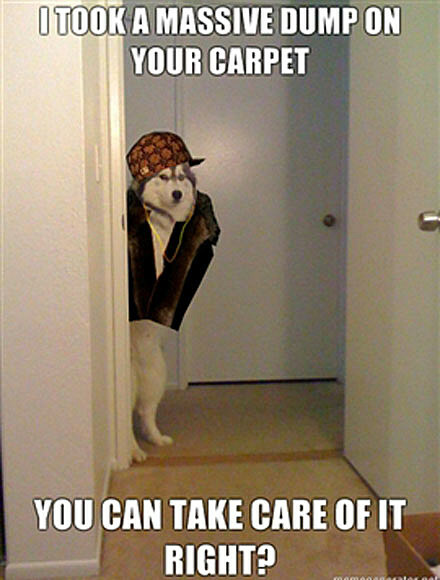 Siberian Steve is like Scumbag Steve if Scumbag Steve were a dog. 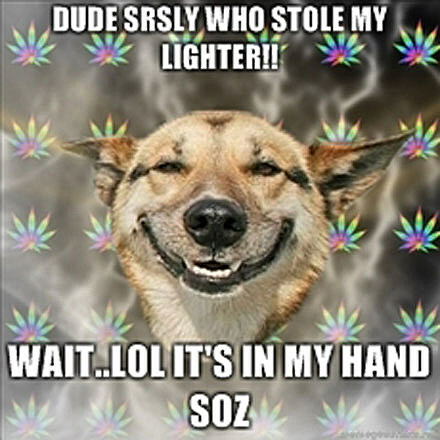 Stoner Dog just really wants you to know that he loves you, man. 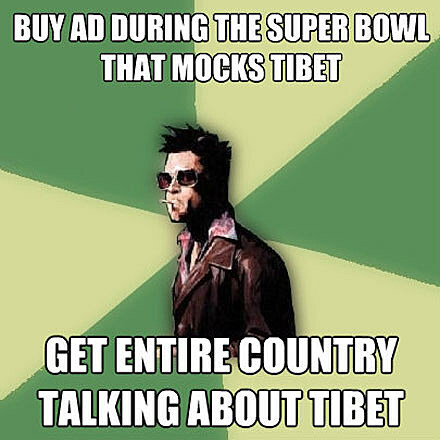 No, no, no, seriously. He's not just saying that because he's high. 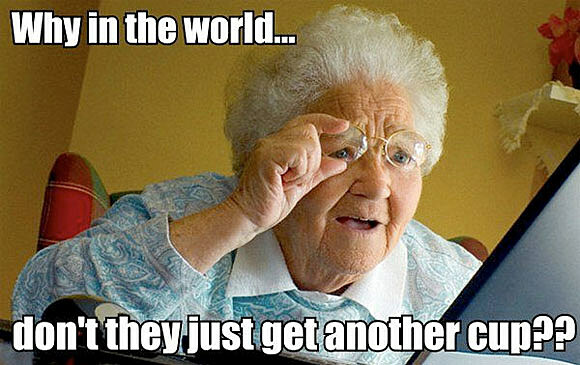 Internet Surprise Grandma is dirtier than you ever imagined. 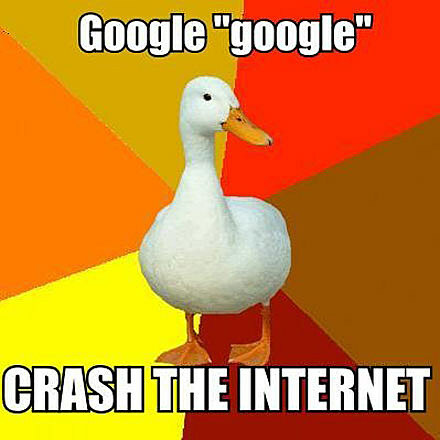 Technically Impaired Duck feels terrible for asking you for computer help. Disruptive Durdin vandalizes corporate art for political reasons. 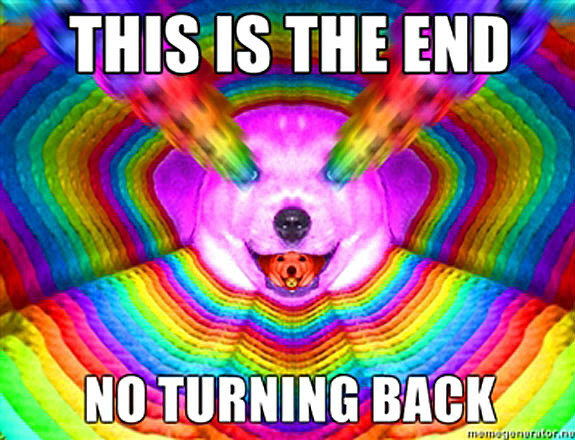 Final Advice Dog is either a bad acid trip or death, depending on your interpretation.